Home Canon Canon and Nikon’s new mirrorless cameras impress. Should Sony start worrying? Within two weeks of each other, industry heavyweights Nikon and Canon made perhaps their most impactful announcements since the dawn of digital photography: the move to professional, full-frame mirrorless systems. While it’s easy to view these new systems as simply late to the game — Sony introduced the first full-frame mirrorless camera in 2013 — we could more kindly argue that the DSLR juggernauts were merely taking the time to get mirrorless right. With three major players now in direct competition in the full-frame mirrorless segment (technically, Leica also make a full-frame system, but Leica is more boutique than mass-market), consumers can look forward to increased innovation and better products regardless of which system they choose. But anyone who switched to Sony from one of these other brands — particularly anyone who did so recently — may be feeling a tinge of buyer’s remorse in the wake of the Canon and Nikon announcements. Certainly, the Z and EOS R cameras have their advantages, but there are plenty of reasons to remain optimistic about Sony. Beyond its five-year head start, the company follows a unique strategy that makes it more attractive to beginners and continues to be an innovation leader. Sony is currently on its third generation of full-frame mirrorless cameras. Starting as the underdog (a title that is certainly no longer accurate), the company innovated at a bewildering pace, packing its cameras full of features that Nikon and Canon couldn’t (or didn’t bother to) match in their DSLRs. From advanced 4K video features to zero blackout viewfinders, and to finally solving the battery life woes inherent to mirrorless cameras, Sony has continuously built on the strengths of the mirrorless format while working to improve the weaknesses. Sony is stratified across the market with models that all appeal to different users and price points. Those three rounds of major iterations have left little room for the usual second mover advantage. Nikon has incorporated brand-first tech into its Z cameras — from internal five-axis stabilization to the new N-log flat video profile — just to make sure it’s not arriving on the scene already outclassed. Canon has perhaps taken a more conservative approach, without built-in stabilization, but has also upped the video specs of the EOS R compared to the 5D Mark IV DSLR and completely revamped the Dual Pixel autofocus system.But from either manufacturer, there is little that definitively bests Sony on paper. For now, Sony still seems to be setting the pace of innovation. Sony is also stratified across the market with several models that all appeal to different users and price points. 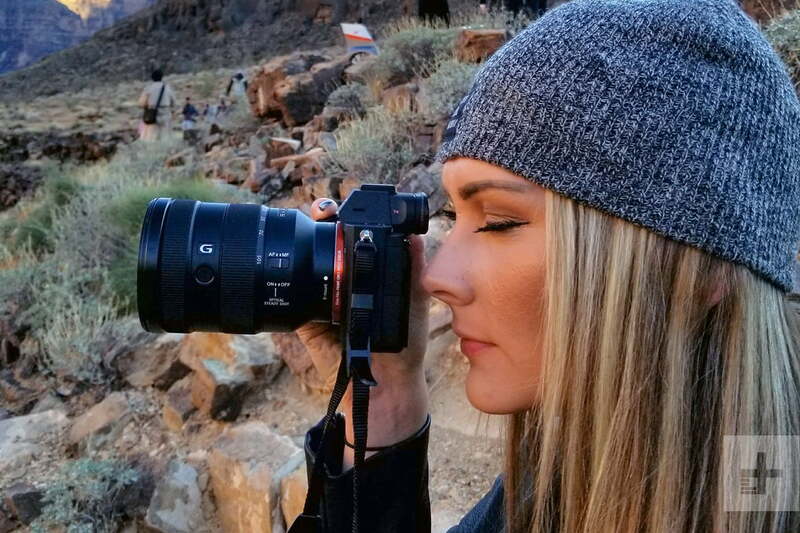 This goes beyond the current lineup — ranging from the $2,000 A7 III to the $4,500 A9 — to include previous generations that are now available new-in-the-box for less money. 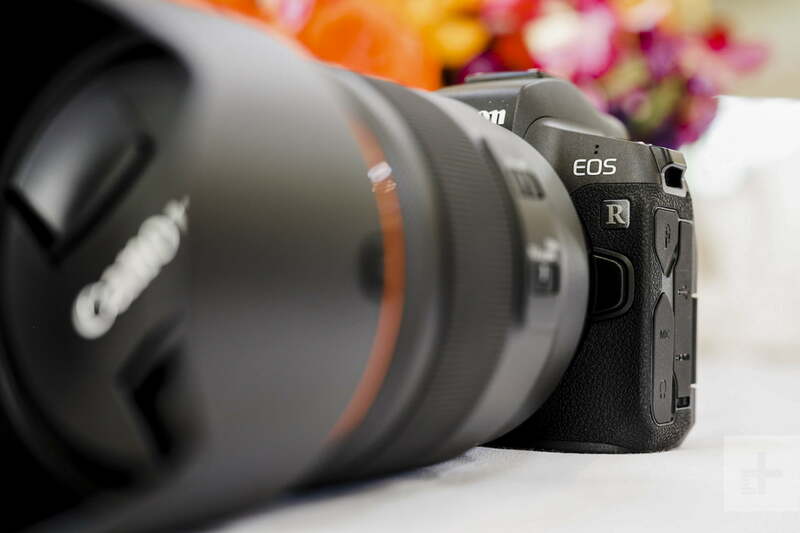 The original A7, for example, is available with a lens for under $1,000. So while Nikon’s and Canon’s focus on full-frame with these new systems may help democratize the format, the truth is that Sony has already done this by itself to a high degree. For beginners, first-time full-frame camera buyers, or anyone who doesn’t need the latest and greatest features, this leaves a potentially huge advantage in Sony’s hands. In time, Nikon and Canon will undoubtedly catch up to the breadth of Sony’s product lineup (Nikon has already introduced two Z models, while Canon has confirmed that the EOS R camera is just the first of many to come), but unless they adopt Sony’s tactic of keeping older models available at lower prices, they won’t be able to capture the low end of the market. To be clear, they may not care about this — Nikon, in particular, has signaled a renewed focus on high-end products — but it is an avenue Sony has for bringing in new customers that Canon and Nikon don’t. 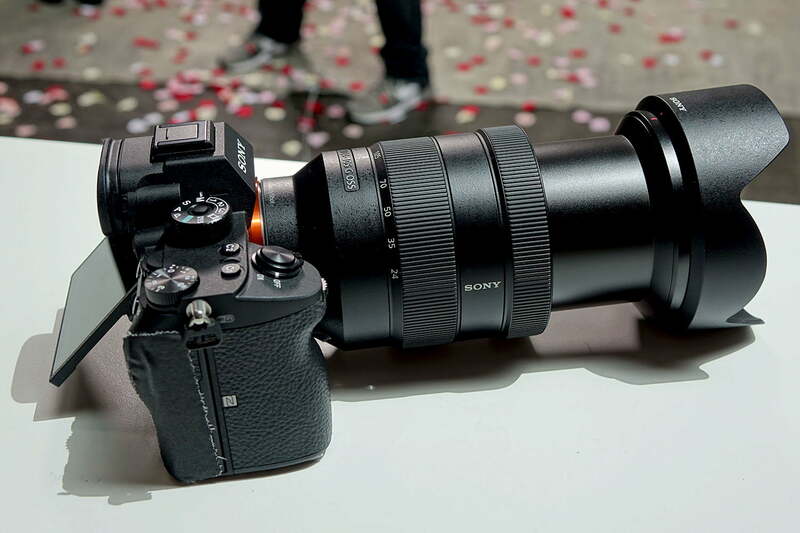 Additionally, Sony maintains a budget-conscious APS-C lineup that uses the same lens mount, creating another upgrade path for users. While Canon’s EOS M line is also based on the smaller APS-C format, it uses a completely different — and incompatible — mount from the EOS R system. Since axing the 1 system, Nikon doesn’t offer a smaller mirrorless format at all. There would be nothing stopping Canon or Nikon from introducing APS-C versions of the EOS R and Z systems, but neither company has announced plans to do so. Lens selection is where all three systems start to get interesting. Obviously, Sony has more native E-mount lenses available now — but Canon and Nikon have a longer history of DSLR lenses that are fully compatible on their mirrorless cameras via adapters. Even if the EOS R and Z cameras are somewhat imitative, their overall systems are already showing some unique attributes. And while you can also adapt those same lenses to Sony’s mirrorless cameras, rarely can this be done without some sort of performance sacrifice, and it often involves using products from three different manufacturers: a Canon lens, a Metabones adapter, and a Sony body, for example. With the EOS R and Z systems, every component will be first-party and officially supported by the manufacturer. 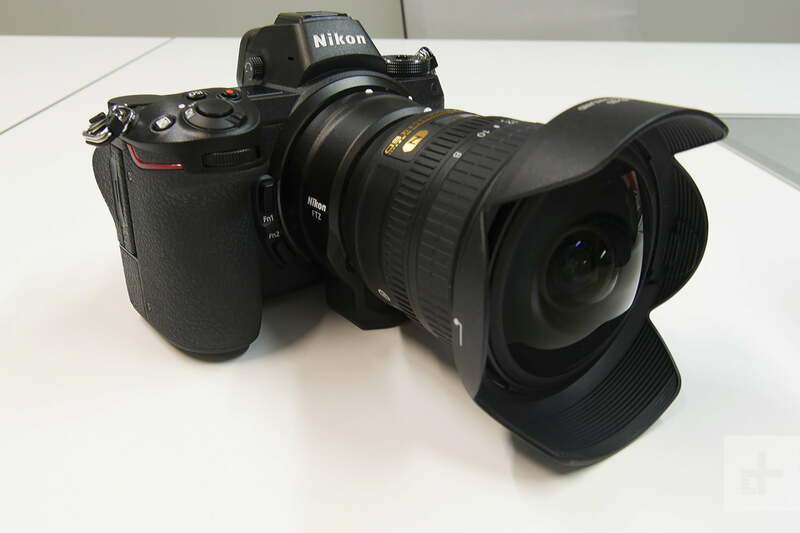 We’re also intrigued by how much effort Nikon has put into the video modes of the Z6 and Z7, as video has traditionally been an ancillary focus of its cameras. Over HDMI, 10-bit 4:2:2 video with N-log is available, which will potentially outshine the 8-bit video of Sony’s cameras. Canon is also offering 10-bit 4K C-log output on the EOS R, something its DSLRs don’t do, although 4K is still recorded from a cropped region of the sensor rather than the full-width readout of the Sony and Nikon cameras. While all three systems offer on-chip phase-detection autofocus, we’re most intrigued by Canon’s, which uses a modified version of its Dual Pixel autofocus (DPAF) technology found in its DSLRs and EOS-M cameras. In the EOS R, it boasts 5,655 points and covers nearly all of the frame. It can also focus in lighting down to -6 EV, the most sensitive AF system we’ve yet seen (although, Canon advertises this as only working with f/1.2 lenses — slower lenses will require more light). Again, without yet actually comparing production cameras side-by-side, we can’t say that either Canon or Nikon offers a definitive advantage over Sony in any regard, but there is potential that they might here or there. One thing we’re interested to see is how directly Canon and Nikon choose to compete with Sony, and whether either will try to strike out in a new direction. Both are doing some very interesting things with lenses, and Canon, in particular, seems to be going against the grain of mirrorless cameras as compact systems by offering 50mm f/1.2 and 28-70mm f/2.0 zoom lenses (the company doesn’t even make an f/2.0 zoom for its DSLRs). EOS R lenses also feature a clicking multi-function ring that can control the aperture or other settings. 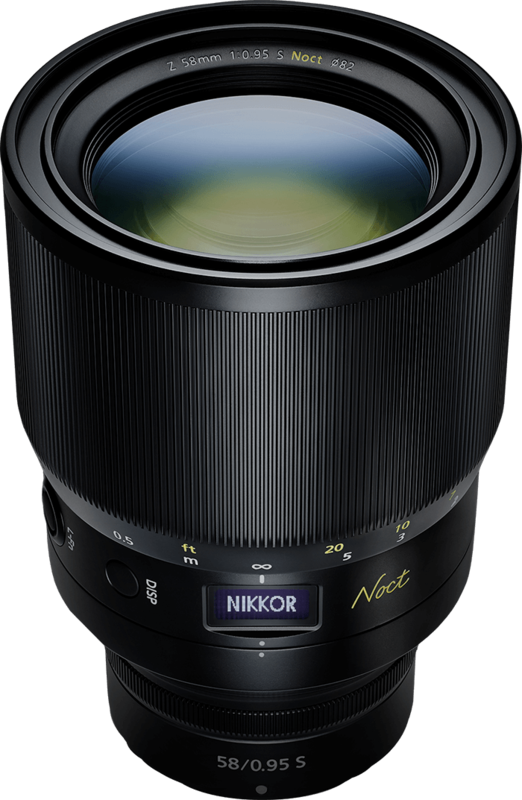 Nikon has embraced its heritage in a very unique way by offering the 58mm f/0.95 Noct manual focus lens, which also takes advantage of the Z mount’s wider diameter that allows for faster apertures than what were possible on the F-mount used by Nikon DSLRs. With its 16mm flange distance, the Z mount is also potentially the most adaptable mount in history. How third-party lens and mount manufacturers choose to take advantage of this could make the Z system very interesting. No camera is an island, so we’re pleased to see that even if the EOS R and Z cameras are somewhat imitative, their overall systems are already showing some unique attributes. We’ll have to wait for our full reviews to see how the specifications translate into real-world performance, but one thing’s for sure: It’s an exciting time for photographers and camera geeks, and there is plenty to look forward to regardless of your brand of choice.